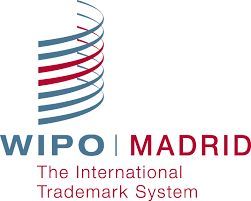 Since it was first adopted in Madrid in 1891 with the aim of facilitating the internationalization of trademarks in a world that had already embarked on the path of globalization, the system has continued to adapt and grow. The system currently covers 113 countries, which gives an idea as to its scale, since it is possible to file trademarks using this system in around half of the world’s jurisdictions. The system has seen changes and improvements, and it has been made more flexible in order to pursue its commitment to internationalization. Among other milestones, in the past few decades and through the Madrid Protocol, English and Spanish have been added to French as official languages. We have seen greater flexibility in the setting of time limits, the payment of fees and in the conditions of accession, and we have also seen filings admitted on the basis of trademark applications rather than registrations. Thus, a great many countries, some of major economic, commercial and strategic importance and also important culturally and in terms of population size, have been able to benefit from the advantages the system holds for their country as well as for domestic and foreign investors. We may cite examples such as the USA, Mexico or Colombia, but there are of course other countries from different geographic, economic and cultural spheres, including countries in Europe, that have been able to find their place in the Madrid International Trademark System through the Protocol. The administration of the system by WIPO, which has itself continuously sought to adapt and improve, has without doubt contributed to the system’s progress. There are certainly challenges ahead for the system, such as its increased expansion to Latin American countries and to countries in other regions of the world, but throughout the past 125 years it has shown a capacity to adapt in a period in which the world has seen the biggest changes in its history, and therefore that capacity augurs a bright future. Elzaburu would like to offer its congratulations to an international system which, we are proud to say, was born in Spain, itself a symbol of universality. Our congratulations naturally extend to WIPO, without whose continuous efforts the system would not have consolidated and grown as it continues to do.